Wedding season is back in full swing, we left early this morning for Willington Hall, early 18th century manor house in Cheshire. Well what a stunning venue. A beautiful garden and terrace area is our location for the drinks reception. The weather is still slightly overcast, so we have rainy day plan, to play in the orangery should it start to rain. 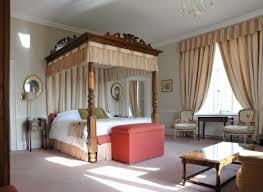 This will not compromise the day though as again this is a lovely room which will work great with our acoustic guitars. After winding through the labyrinth of mahogany panelled corridors we have set up on the veranda for the drinks reception. 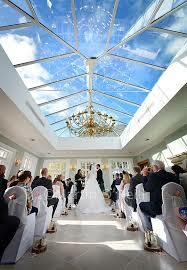 Finger tightly crossed for the sun to shine to entise the guests outside for a singalong with there champagne. The plan for the day is to play as the guests arrive for the champagne reception. Then provide some music during the wedding breakfast, onto a ukulele set post wedding breakfast before setting up for the evening reception. The weather forecast was for clouds and maybe patchy rain however, after the ceremony the sun came out it was a glorious day and perfect timing for the drinks reception which was to be held on the whole grounds in the garden area. We played acoustic guitars in the sunshine while guests played traditional garden games such as croquet and Crown Green Bowls. We then headed towards the main reception room for the wedding breakfast and as guests assembled inside we waited with the bride and groom until everyone was seated. The happy couple were then announced into the room flanked by Rock My Reception playing All You Need Is Love as they made their way across the room to a large round of applause. After the wedding breakfast we decided to offer a service which is a new service this year. We’ve often found at previous Weddings there can be a lull after the wedding breakfast where guests don’t necessarily always know what to do after the bride and groom head back into their room in the evening to change clothes and dresses and to freshen up. It is a funny time of the day where people have been drinking and just want to kick back and relax so we thought the perfect antidote to keep everyone happy was to offer an informal and laid-back Ukulele acoustic set. We find that this works best somewhere near the bar area. With us being there for most of the day, by now most of the guests are familiar with us and familiar with our laid-back style of communicating with the audience so they feel more than happy to come across and asked for requests. We find this way works well with all age groups from the young children through to the most senior members of guests and course often some of the young kids are fascinated with Ukulele and Guitar! In the past sometimes kids have even asked to play on the Ukulele which is fine with us. During this time at Willington Hall one of the older guests got up and sang an old Elvis song along with Dominic as he played the ukelele and was just such a great way of breaking down barriers between the guest and the performer and also a great way of keeping the guests entertained with a unique approach to live music.